A one-bedroom unit at luxury condominium The Scotts Tower is on the market for $1.75 million ($2,713 psf). The 645 sq ft unit is on the ninth floor of the 31-storey condo and is being sold with an existing tenancy. The unit has been rented out over the last two years for between In the three months the unit has been on the market, he has received enquiries from a mix of local and foreign potential buyers. Some of them are en bloc beneficiaries, he says. $3,500 and $4,200 monthly, says Xu Jia Wei, associate marketing consultant at Huttons Asia, who is handling the sale. It is leased to an expatriate until March 2019. Most of the tenants at The Scotts Tower are foreigners, who find the development’s central location appealing, says Xu. They also like its proximity to the Orchard Road shopping belt. In February, another one-bedroom unit was leased for $4,263 a month, while a two-bedder was leased for $5,200. 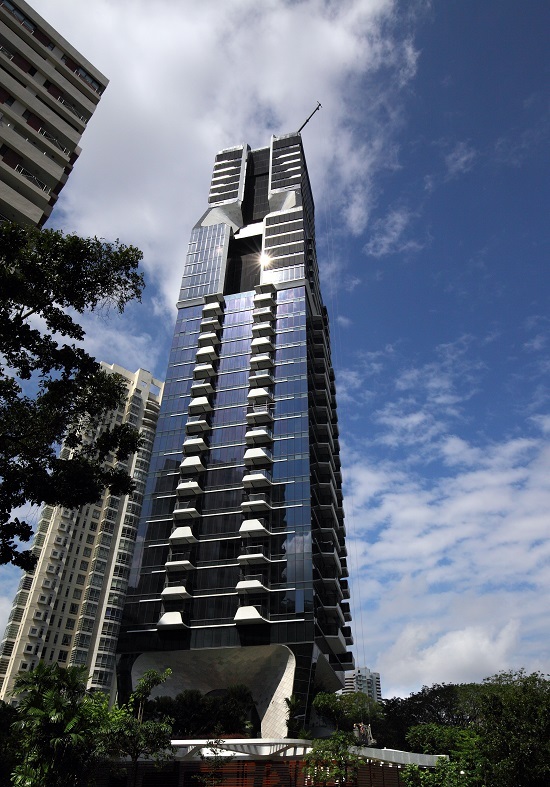 The unit on sale is owned by a Singaporean, who bought it for $2.23 million ($3,450 psf) in January 2012, following The Scotts Tower’s launch at end-2011. The owner has decided to sell the unit to finance his purchase of a bigger house and another property investment, says Xu. In the three months the unit has been on the market, he has received enquiries from a mix of local and foreign potential buyers. Some of them are en bloc beneficiaries, he says. The Scotts Tower is located close to the Cairnhill area in prime District 9. It was completed in 2016 and has a 103-year tenure starting from 2010. 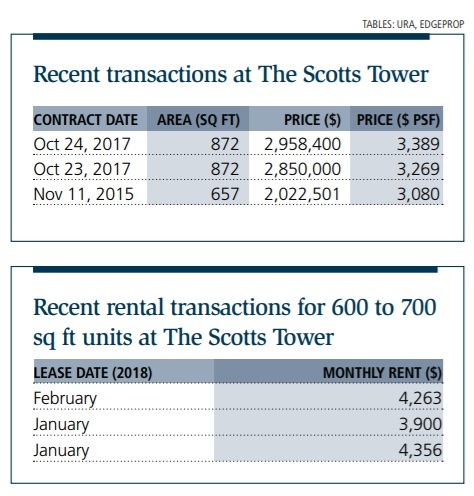 According to caveats lodged, there have not been any resale transactions at The Scotts Tower so far. The 231-unit condo comprises a mix of one- to four-bedroom units of 624 to 2,357 sq ft and is about 60% sold.